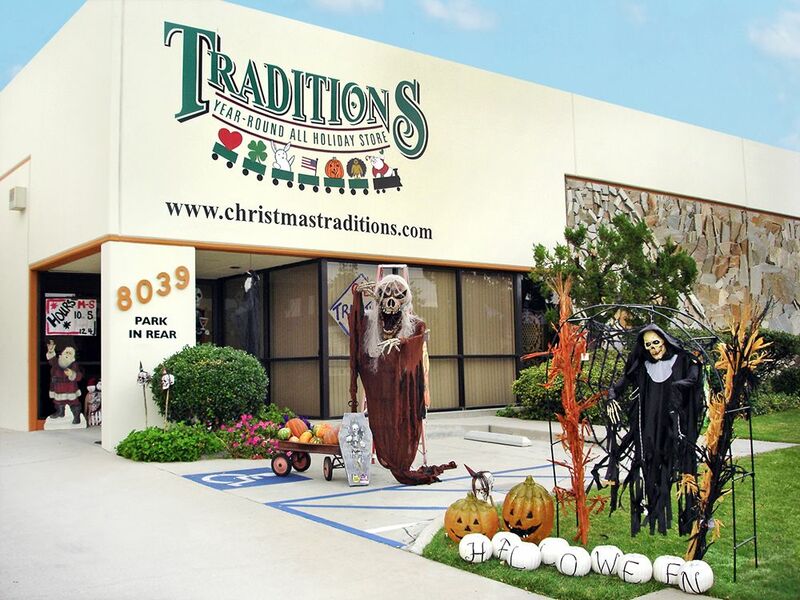 We opened Traditions a few months after the Northridge earthquake, we were one of the lucky ones. My dad's grocery store was pretty well demolished on the inside, so Dad and my brothers gave all of the salvageable food, water and produce away to the customers that flocked to the store hoping to get supplies to tide them over for what was likely to be a really long time without electricity or daily deliveries of food. Because most people lost most of their belongings and home decor in the quake, the side walks and streets soon became a dumping ground of discarded furniture. One person's loss can soon become another person's gain, if you are willing to work at it. We went around collecting damaged cabinets, tables, chairs and chests and started reconstructing them, talents we didn't even know we owned until we put our mind to fixing this furniture with the intent of decorating our new holiday store with it. It was a lot of fun, hard work and creativity but as a family we always enjoyed working together. Soon, we had enough to fill the store. I will never forget that first day, remember we were not officially open for business, just moving all the newly refurbished furniture into the new store. We had placed about 12 items where we wanted them and then 2 people walked in. They looked around a moment and said ........."How much for that piece?" We were shocked, we had not really expected to sell the furniture, they were just going to function as our decor pieces to display the Christmas items. Of course we had no prices in mind, so I threw out a really high price and what would be our first customer thought about and said, "SOLD!! "...........we were flabbergasted! That same scenario repeated itself over the next week, every single piece of furniture we brought into the store sold in hours, people were desperate for furnishings because of the earthquake. So now we were left wondering what we were gonna do! We had to start all over finding furniture to decorate our store, so instead of opening in April, 1994 we officially opened in July. The fun part came when we finally got all of the furniture placed and then we got to decorate the store! 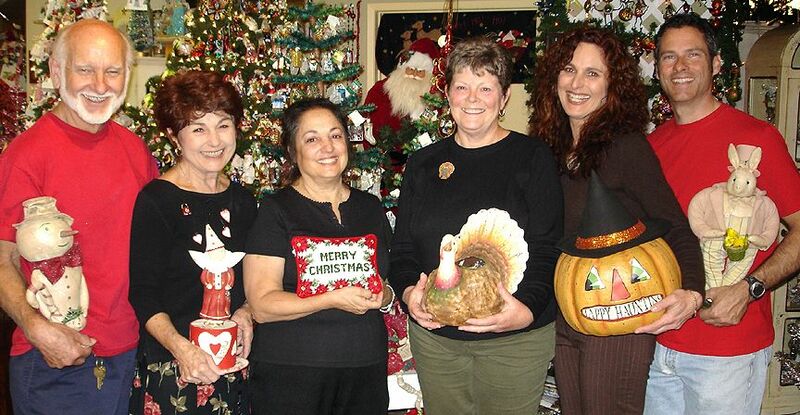 Filling it to the brim with antiques and Christmas decor – we were really having a great time. I am sure Dad expected that I would run the business daily, hire an employee or two to help out and that would be that. But the unexpected happened! Mom never left! 3 weeks went by, then 2 months and so on until it was pretty obvious she loved working there as much as I did. It's now been over 25 years and she and I are still running the business together! Obviously we needed a name for the new business. I put together a long list of possibilities, Dad was set on "Gifts From the Heart" but as often happens with me, in the middle of the night I sat straight up in bed and the word, "Traditions" just popped into my head! I knew immediately that was the name! Everything about our family and the holidays was a result of tradition. So, the next morning I told Mom and Dad. It was obvious they both agreed, we had found our name, it embodied everything we believed in! After a few months in business and going through about 4 different versions of the store, because the furniture continued to sell out from under our products, we settled in to a nice rhythm, it was fun to see some unsuspecting customers walk through our door not realizing we were a year-round Christmas store! We actually got one nasty letter from a mother in the neighborhood telling us to close our business because we were confusing her children! We asked her to bring the kids into Traditions so that we could explain we were just one of Santa's workshops that sold his extra 'toys'..........that seemed to smooth things over! 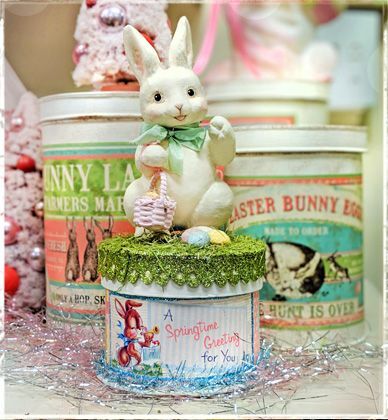 After a year we found that the small offering of other holiday items we brought in for Valentine's Day, St. Pat's, Easter, 4th of July and Thanksgiving sold out within weeks of putting them in the store. But what surprised us most was the desire, actually I think the word should be "extreme craving!" for Halloween decorations. We thought for a quick second and decided that we would become the first, that we knew of, ALL HOLIDAY year-round store. That decision really set us apart in the industry, but what changed our lives the most dramatically was implementing one of the first holiday store websites on the internet! Those first years were crazy, the pictures had to be so small because everyone was using a dial-up connection and there was no ADD TO CART button, so every order we took was a phone order, from snail mail or FAX, often from all over the world! To date we have shipped to over 47 countries, including Russia, Dubai and Bali! Because we were actually speaking to the people that wanted to order our products, we really got to know them and vice versa! Our customers really loved that we were a family business, we also became known for our customer service, quick response to emails and speedy shipping, not to mention never forgetting someone that was looking for a specific item! That part of the business was and still is really fun. The traditions of the holidays are what got us into this business, so it was really a compliment that our long distance customers wanted to shop with us and share their own traditions with us. Hitting our 25th year was a huge milestone for us – one we don't take lightly. In this age of Amazon and the Big Box stores eating up the little guys like us, we understand why we are still in business and sad that many others that started out when we did are no longer. After 13 years at our first location, we knew it was time to move to another that would help us with our expansion and give us the space we needed for our online business to flourish. We now have a 15,000 sq ft location, with an 11,000 sq ft warehouse along with a 4,000 sq ft retail store. We love what we do, so it was important to us not only have an online presence, but to also keep the retail store open so that our customers could enjoy the joy of shopping with us in person. It is such a compliment when customers that travel to the LA area on vacation or business make it a point to go out of their way to come to our destination store. Summer especially brings customers from all over the United States, Europe, Australia and Japan – it's such fun to connect with these people and put faces to names on an internet order! We have always been a family business, Mom, Dad and I started the business and the other employees that have worked for us just become part of the family too! However, we do have nephews, nieces and even my husband that work for us, some occasionally especially during our Holiday Open House and Signing Events. But we have one special nephew, Ryan Thomas that started with us when he was just 16. Already knowing that he was a gifted and very talented website designer and artist, it was a great fit for him to work at Traditions. He soon took over the website and has taken us to heights we would not have reached without his knowledgeable expertise! 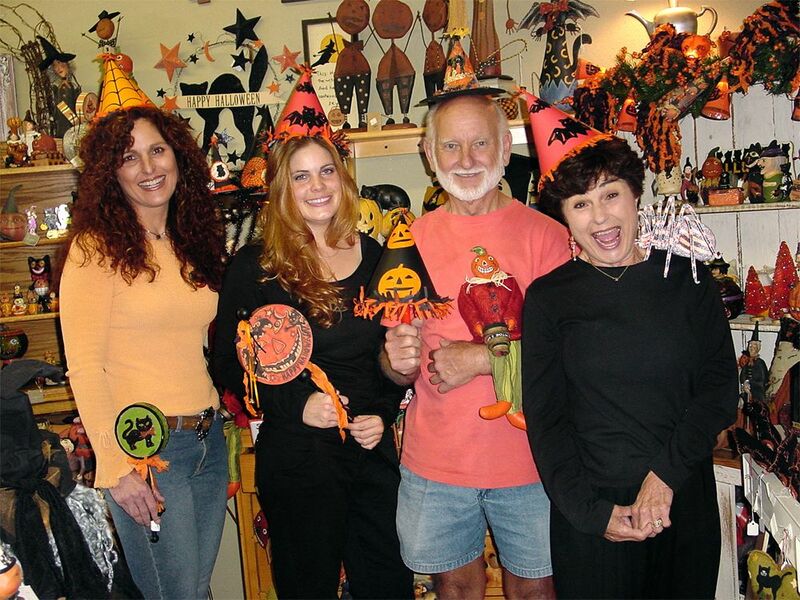 It truly is a family affair, from that time, long ago when my parents passed along their love of Christmas to their three kids, to now as a viable business the love of all holidays permeates all we do. We have all settled into our specific jobs that utilize our areas of expertise: I do the buying for the store, social media postings and processing all of our online orders, Barbara (Mom) decorates the store with a sense of design not trained just innate, Ryan our webmaster is so skilled another site he owns was nominated for "Best Small Business" & "Most Improved Website" at the 2018 MIVA Blade awards. We also have an exceptional staff that have worked with us almost as long as we have been in business. It is important that our staff is as knowledgeable as we are and help our customers have a fun and interesting time while shopping at Traditions. We have been told by so many of our customers, this is their "Happy Place," we want that to always be how you feel when you shop with us in our store or online! In the beginning there were 3............we lost our rock, Gary, my mom's husband of almost 50 years and my dad in 2012 to ALS. It was devastating to us, such a shock. Never a day goes by where he isn't mentioned here at Traditions. Customer's still talk about him and his talent for fixing their collectibles they had broken. I miss my shipping partner, we stood together for over 18 years shipping all of our customer's packages. He is truly missed but his inspiration lives on in all of us.........and every time White Christmas or Bad Moon Rising by Credence Clearwater Revival comes on the radio, we turn the radio up really loud and dance around the store just as he did when he was still with us!